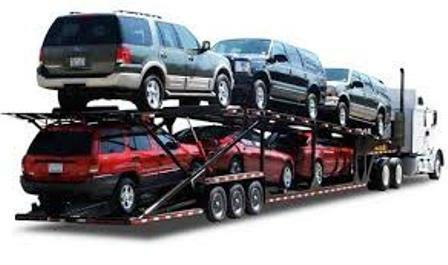 Finally you've decided to Move your Car to a new city with the help of Transport My Car (TMC). Maybe you've been offered have a great opportunity that you simply can't pass up, or you just want to have a fresh start in a different part of the country. Your plan is to pack as much of your personal belongings as you can in the trunk of your car, throw your bikes on the rack, tie a few miscellaneous items on the roof, load up the wife, the kids, the dog, and away you go! You should know that in most cases a car transport company will not be able to ship your car straight through from one location to another. Transport trailers can hold up to six to twelve cars at a time with each car going to a different location, so your car may be carried through other drop sites before arriving to you at your specific destination. Make sure to inform the transport company if you want your car shipped straight through to you, as they may have to arrange for a different type of trailer to move you. The actual drop off rotation and the delivery route will be decided by the driver so depending on where you are located, your delivery could be sooner than expected or delayed a short time. There may be occasions when door to door service is not guaranteed, usually it's because the size of the transport trailer may not enable the driver to easily get in and out of residential areas. If that is the case, expect the driver to contact you and arrange for you to pick up your vehicle at a more accessible location, possibly a depot or a parking lot close to your home. Before you ship your car make sure that it is running properly and has no overlooked mechanical problems. If your vehicle does not run you may be charged additional fees if the driver has to manually push it on or off the transport trailer. Always inform your car transportion company if there are any problems with your vehicle when you first contact them. This way everyone is on the same page, and you will avoid any unpleasant surprises when you receive your invoice. The more upfront information you give about your vehicle the more accurate your shipping quote will be. And, remember to provide them with a reliable contact number while your vehicle is in transit so that the driver can call you if necessary. It's a good idea to have your vehicle washed before it is picked up by the transporter, this will allow you and the driver to make note of any preexisting scratches and dents. Make sure your car has no leaks before it gets put on the trailer or it could drip fluids onto another person's vehicle while in transit. The battery in your car should be charged and secure, the fuel level in your tank should be as low as possible, and your car alarm system should be disabled so that it does not drain your battery in the event that it goes off unnoticed during transit. If you are moving to a different climate either hot or cold, it's a good idea to make sure that your vehicle has an adequate amount of coolant or antifreeze in it so as to avoid any unwanted surprises when you try to drive home from the delivery location, assuming that the driver was not able to provide you with door to door service. And if your car has an antenna, make sure that you remove or retract it so that it does not get torn off or accidentally scratch another vehicle. Lastly, remember to secure or remove any loose items inside your car that may shift around during transit, and take any important personal items with you that you may need access to such as your laptop or cell phone, as it may be several days before your car arrives at its destination. If you follow these relatively simple steps you should have no trouble at all when transporting your car or other type of vehicle. Just remember that a little preparation goes a long way!